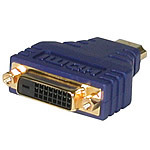 Convert an HDMI cable to a DVI connection for your A/V system. When mounting flat panels or projectors, it's hard to know what angle will be required for the digital video connector. 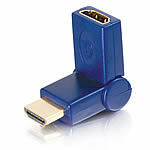 Fortunately, our HDMI to DVI adapter can be twisted or turned to virtually any position. 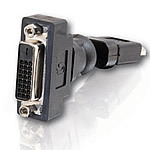 The rotator adapter features a center ball joint design that enables a 360° rotation and 90° bending so that the digital video cable can easily be run at any angle. 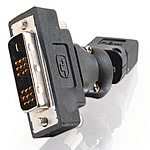 Our HDMI femaleo-female coupler will extend the distance of your existing HDMI cable by allowing two cables to be coupled together. 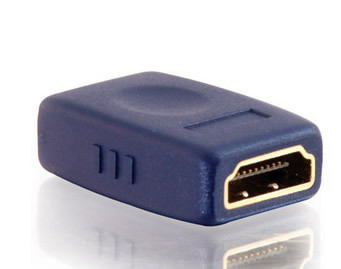 It is compact and designed for minimal signal loss to provide an easy, quality connection between two HDMI cables. PCB design safeguards signal integrity; gold-plated connectors. Connect the adapter directly to the PC. Then use your HDMI cable between the adapter and the display, and enjoy PC video content on virtually any high-definition digital audio/video display. 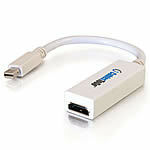 This adapter cable converts a Mini DisplayPort signal for viewing on an HDMI-equipped display. Connect the adapter cable directly to the computer. 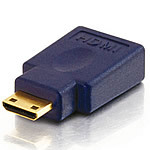 Then use your HDMI cable between the adapter and the display, and enjoy computer video content on virtually any high-definition digital video display*. Supports full HD resolution (1080p @ 60 Hz). 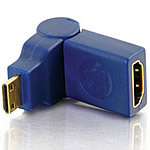 Our compact Velocity adapter easily adapts a standard male HDMI Cable to an HDMI mini connector to ensure a high quality, low loss connection. Compact design for easy transport and storage. Gold-plated connectors. 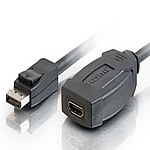 Some newer portable electronic devices including camcorders and digital cameras are equipped with an HDMI mini connector to carry high resolution content. 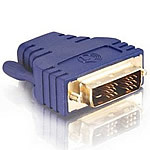 Our compact Velocity adapter easily adapts a standard male HDMI Cable to an HDMI mini connector while protecting your expensive equipment or cradle.